The Indo-Sri Lanka Free Trade Agreement (ISFTA), which was signed on 28th December 1998 and entered into force with effect from 1st March 2000, provides duty free concessions to a wide range of products traded between the two countries. 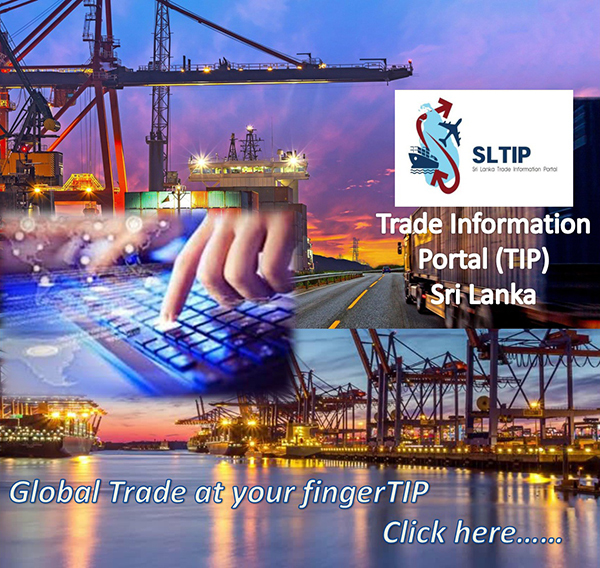 Sri Lanka’s final tariff liberalization commitment under ISFTA came into effect since November 2008 and with this completion of the commitment, the ISFTA which came into effect from March 2000 has been fully implemented. However, Sri Lanka has already got a fully duty free access to the vast Indian market under the ISFTA since the end of March 2003. Thus, the entrepreneurs based in Sri Lanka can now export more than 4000 product lines to the Indian market on duty free basis. Sri Lanka’s export to India increased from US $ 173 million during January to May in 2010 to US $ 219 million during the corresponding period of 2011 registering a 26.6% growth. This increase was mainly due to a significant increase in exports such as insulated wiring sets and cables, bottle coolers, petroleum products, cocoa products, technically specified natural rubber, marble, furniture, MDF boards, apparel & clothing accessories, glass products, rubber gloves, nutmeg, mace etc. during January to May in 2011 when compare to the same period in 2010. However, exports of certain products such as cloves, pepper, natural rubber in form of smoked sheets, copper wires, animal feed, refined copper, new pneumatic tyres etc. have recorded decrease during January to May in 2011 compared to the same period in 2010. It is important to note that most of the products have been exported to India on duty free basis under the ISFTA during January to May in 2011. The Department of Commerce has issued 4,371 Certificates of Origin under the ISFTA during January to May 2011 when compared to 4,112 Certificates of Origin under the ISFTA issued during the same period in 2010. An informal discussion with the India officials on the ISFTA implementation issues were held in New Delhi in November 2010 and subsequently in Colombo in December 2010. During the discussions, both sides emphasized the importance of commencing bilateral discussions between the two countries on the ISFTA implementation issues after a lapse of two years. Both sides expressed the importance of giving utmost attention to solve ISFTA implementation issues put forward by both sides, at the earliest. Sri Lanka is in the process of negotiating more comprehensive economic cooperation arrangement with India in order to strengthen the present bilateral economic relations. While the present Free Trade Agreement between the two countries deals with trade in goods, the proposed arrangement will encompass trade in Services, Investment and Economic cooperation. The formal discussions on the proposed arrangement have not taken place since the conclusion of third round of Trade Negotiating Committee meeting held in July 2008. The two sides have had three rounds of negotiations at Commerce Secretary Level and thirteen rounds of Technical Level Negotiations since negotiations on the proposed comprehensive arrangement with India were launched in 2005. Both parties were able to reach a reasonable understanding through these negotiations on the level of market access commitments in the area of trade in goods, trade in services, investment and economic cooperation. However, the process of negotiations for proposed Agreement was suspended in 2008 due to the concerns expressed by some parties on the possible adverse effects. Later in 2010, an extensive consultation process was started with all the stakeholders in order to address those concerns. In this regard, the first consultative meeting, chaired by the Hon. Minister of Industry and Commerce was held on 27th July 2010 to assess the perspectives of the chamber representatives followed by a series of such meetings. During bilateral consultations between Sri Lanka and India held during the latter part of 2010, both sides agreed to re-start formal negotiations based on a new draft prepared by Sri Lankan side. Accordingly, in February 2011, an Inter-Agency-Committee was established with the approval of the Cabinet to look into the matters pertaining to the proposed Agreement with India and prepare a draft text. Presently, the IAC is in the process of preparing a draft to be presented to the Indian side for future negotiations.